Grayshott Health Spa is situated a mile and a half from the village of Grayshott, 16 miles south of Guildford, 2 miles from Hindhead and only an hour from London. This charming destination spa is situated in a truly tranquil setting, with 47 acres of gardens, woods and sweeping lawns, adjoining 700 acres of National Trust land, preserved for its outstanding natural beauty. Guests can enjoy morning and afternoon walks led by Grayshott fitness team through the grounds and National Trust land, or relax on a lounger overlooking the lake or the orchard. 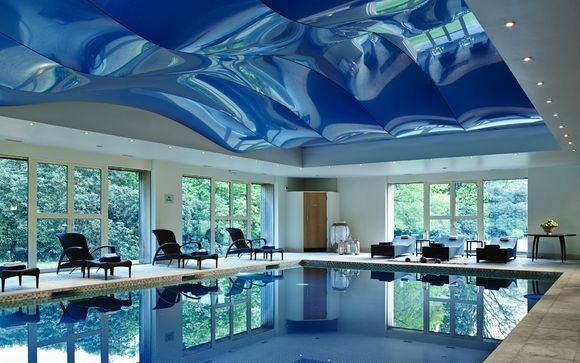 Grayshott in Surrey is an award-winning health, beauty and leisure spa destination that is an ideal place to enjoy a relaxing break. The food and activities on offer are the perfect way to kick start a more healthy lifestyle. Providing over 40 classes, ranging from relax and unwind to circuit training, there's something here for everyone! This English Spa Hotel is located in the peace and tranquillity of the Surrey countryside and is a world away from the stresses and strains of modern living. A 7.5% charge is added to guests’ bills for additional spend. This charge covers staff gratuities, certain classes, supervised walks, talks, inclusive beverages, non-alcoholic cocktails and fruit. 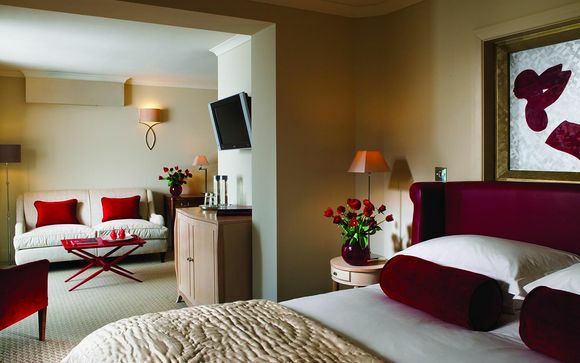 This offer is based on a stay in either a Standard Room or a Junior Suite. These contemporary rooms are designed to cocoon you in comfort and calm - well equipped to make your stay relaxing and comfortable. 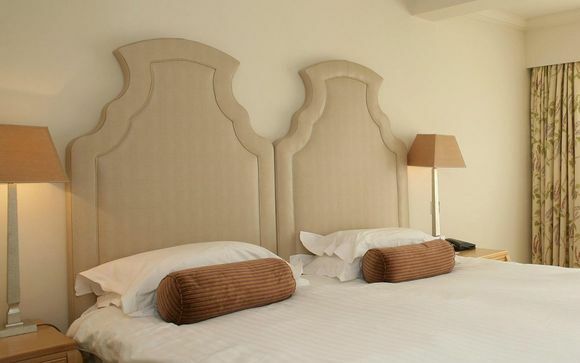 These suites are located alongside the Manor House, with orchard or garden views. These are contemporary-styled, well-appointed, air-conditioned suites with lounge area, bath and separate shower, 2 televisions and a cordless phone. This offer is based on a full board stay. Just for you: pre-dinner nibbles and fruit cocktails in the Bubbles Lounge. This full board package includes all meals, from dinner on the day of your arrival to lunch on the day of your departure. Dinner: 3 course a la Carte including starter, main course and a dessert. Dining Room & Conservatory - The Dining Room serves a substantial buffet at breakfast and a 3 course buffet is served at lunch. In the evening, guests have the choice of an à la carte menu in the Dining Room. A selection of wines is available upon request. Bubbles Bar - Bubbles is a contemporary meeting place offering coffees as well as wines and low-calorie Champagne. Herbal & fruit teas are available from the beverage area. Just for you: complimentary access to all spa facilities & complimentary use of bathrobes and slippers throughout stay. For nearly 50 years Grayshott has provided a retreat for those looking to address health issues and improve their well-being. This offer includes all spa facilities including indoor and outdoor pools, hydrotherapy pool, relaxation, sauna and steam rooms, gym, exercise classes, indoor and outdoor tennis courts and spa treatment. 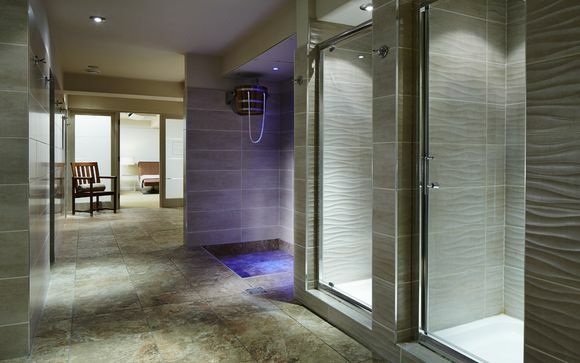 Please note that Grayshott has separate male and female spa areas – relaxation room, sauna and steam rooms. Once checked out of the rooms, guests are entitled to stay on and use Grayshott Health Spa facilities until 17:00 on day of departure. Check in 2.30pm, Check out 12:00pm. Grayshott is located a mile and a half from the village of Grayshott, 16 miles south of Guildford and just two miles from Hindhead. By car - From London take the A3 south following through the newly completed Hindhead Tunnel. Take the first, and immediate, exit after the tunnel, signed Grayshott and Hindhead. From the roundabout at the top of the slip road, follow signs for Grayshott. One and a half miles after Grayshott Village, you will reach Grayshott Spa on your left. Alternatively using the M3, take exit 4 signed A331 to Farnham, then the A287 to Hindhead, turn right at traffic lights onto A3 and then follow directions as before. By train - Frequent trains from Waterloo to Haslemere take 55 minutes and you can reach us by taking a taxi from Haslemere Station. Visitors arriving from Heathrow or Gatwick are within one hour's drive from Grayshott.